We bring people and business together. Business can't exist without people and people cannot innovate and grow without business. We specialize in bringing these two forces together to connect you with the people who matter to your business and your brand. We are an experienced marketing and communications team helping clients reach customers through individualized marketing programs propelled by measured success. 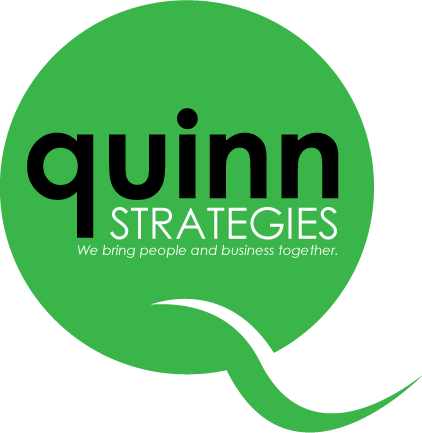 At Quinn Strategies your business success is our number one focus. Regardless of your needs, we will work with you to strategize, organize, execute and measure your campaign. Whether you're a large corporation looking for a different direction or a one-person team trying to create and market your brand, we have the experience and means to help you and your business succeed. A marketing strategy can do amazing things for your brand.